A friend took this black and white photo of her beautiful little toddler. What a shot! He’s so pretty, I just had to play with it. 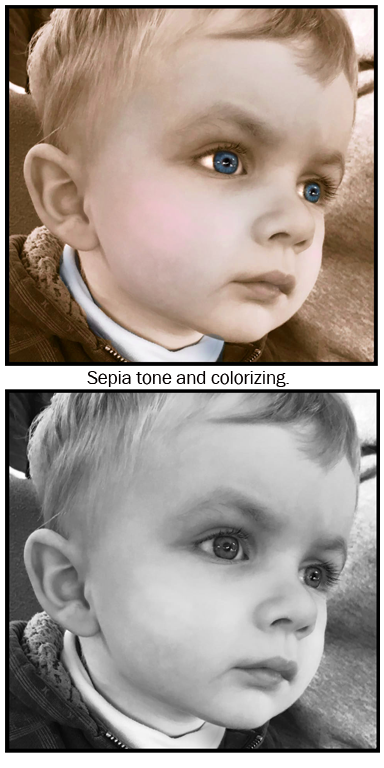 Added a sepia tone, upped the contrast slightly and added a bit of pink in the cheek and a blue tinge to his collar. Not to mention those gorgeous blue eyes. What fun it is to be able to play with Photoshop like this. BTW, she’s having it printed on canvas. Next PostAnother Infamous Gift Caricature!